Mr David Goodier is a Consultant Orthopaedic Surgeon specialising in complex fractures and trauma. He has pioneered limb reconstruction using the Ilizarov technique and other external fixators to treat non-union fractures. 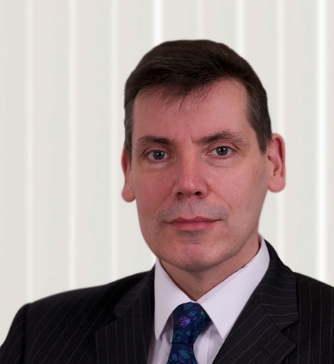 Mr Goodier qualified from The Royal London Hospital in 1985 and has worked there and at St Bartholomew’s Hospital as lead consultant for trauma orthopaedics for 15 years, and as Head of Department for 3 of those years. The London Hospital being the base of operation of The London Helicopter Emergency Medical Service gave him unparalleled experience of major trauma and complex fractures, leading to an interest in fractures ‘gone wrong’. He has pioneered Limb Reconstruction treatment using the Ilizarov frame, Taylor Spatial Frame and other external fixators, and is one of the pioneers of the use of the Precice Magnetic Lengthening Nail. He is the current President of the British Limb Reconstruction Society, and lectures throughout the UK and worldwide on these techniques for the management of non-union, deformity and bone loss. His interest in the overall management of trauma extends to Sports Injuries through which he sees many high level and professional athletes for knee, foot & ankle problems. He is an Honorary Senior Lecturer in Sports and Exercise Medicine at Queen Mary University of London, and regularly lectures and examines students at BSc, MSc and Specialist Registrar levels. He performs arthroscopic surgery, cruciate reconstruction surgery and other ligament surgery on both the knee and the ankle joint, as well as other lower limb and foot surgery.